Tonight’s episode was absolutely delightful. 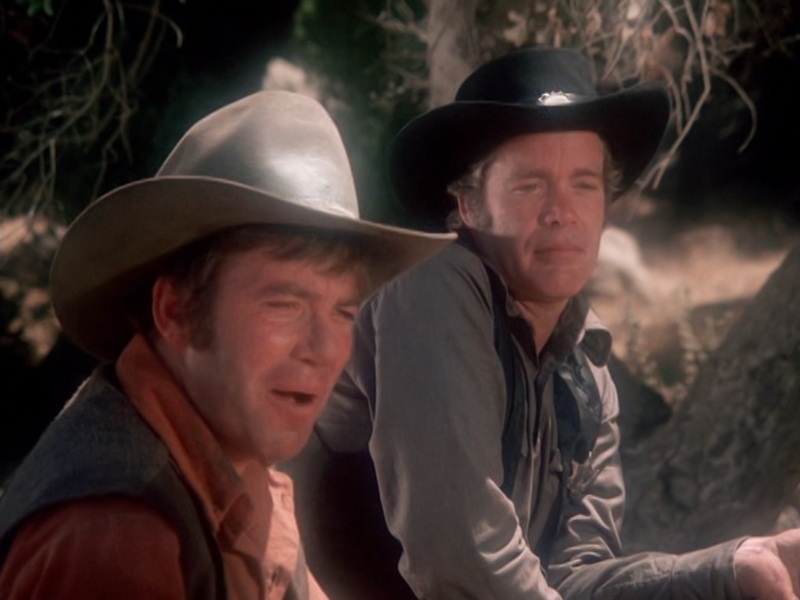 Andrew Duggan guest stars as a not-entirely-trustworthy small town sheriff who may have $20,000 in stolen marked Treasury money hidden in the floor of his jail. Jeff needs to extract it quickly without blowing his own cover, so he poses as a criminal in order for Cash, posing as a US Marshal, to take him off the sheriff’s hands once he’s had enough time to get the money. Everything goes wrong. Everything goes beautifully, hilariously wrong. The complications that pile up in this mess are as good as you ever get in the genre. They can’t even trust a dog to sniff out the correct lawman. The dog was, of course, our son’s favorite part of the story, but who can blame him? If I were that dog, I’d skip out on joining the posse for tracking duty to stay behind and dig up the money myself.